Weight: 125ml / 4.2 Fl. Oz. Jenn's Rating: 4.5 Stars! Would be HG if it weren't for the high price! Water/Aqua, Cyclomethicone, Isohexadecane, Sodium Chloride, Hexylene Glycol, Poloxamer 184, Dipotassium Phosphate, Benzyl Alcohol, Potassium Phosphate, Dipotassium EDTA, Quaternium-15, Benzalkonium Chloride, Fragrance, 540704. Double-phase, fresh-as-water liquid eye makeup remover. Activates when shaken to gently whisk away even waterproof eye makeup, while conditioning and refreshing the skin. Ideal for sensitive skin and contact lens wearers. 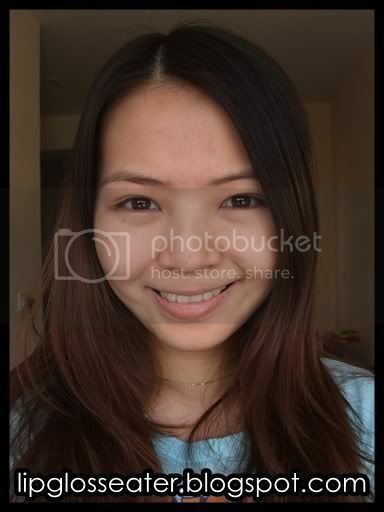 Leaves eyes feeling cool and relaxed, with no oily residue. Ophthalmologist-Tested For Safety. This cleanser is priced at RM95 (approx. US$26.38) and should be available at most Lancome counters. It's also available for sale on Strawberrynet.com for US$30! I know this has been compared alot to the much cheaper Loreal makeup remover, and since i have both products, lemme give my humble $0.02 on how they compare to each other! Both of them serve their purpose well, but this one removes makeup much faster than the Loreal one. 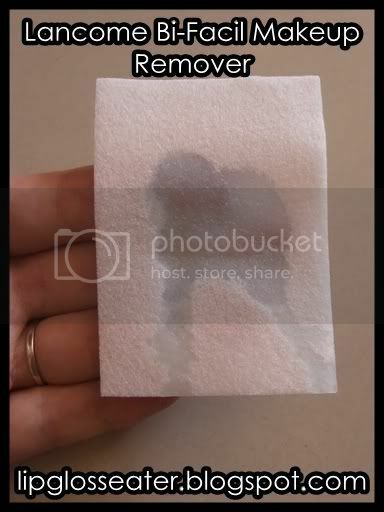 Also, i find that this removes makeup with one swipe whereas for the loreal one, you sometimes may need to wipe a few times before the makeup is removed thoroughly! Texture wise, this one is slightly less oily than the Loreal one, but to be honest both of not really that oily to begin with!! Credits: Product photo from Lancome-usa.com. great review! have you tried the Clinique take the day off makeup remover for eyes and lips? it's my HG. It works just as well as the lancome one IMO, and it's not nearly as expensive. wow thanks for the review! 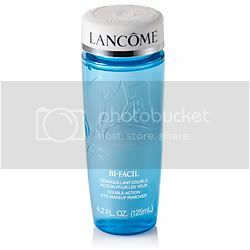 I am currently using the L'oreal one too and they work but I have a feeling the Lancome one removes faster! but of course..look at the price! they should work better :D thanks for your review! GREAT review i will deff try this one out. wow. everyone is raving about this. but the price is indeed a setback. ouch in the pocket! 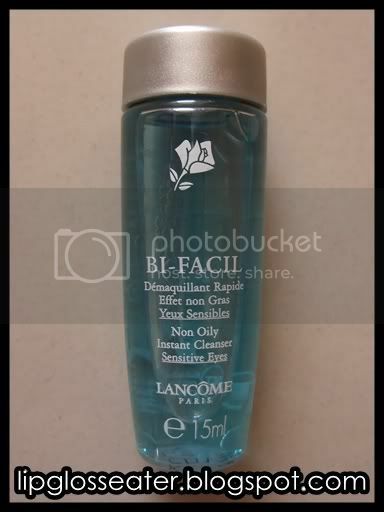 I love Lancome Bi-Facil and still use it sparingly. For me, Neutrogena's eye makeup remover is equally as effective and removes ALL makeup... it might leavesa slightly oil-feeling residue, however for a fraction of the price of the Bi-Facil, why not!? Attention: All The Body Shop Malaysia Fans!!! The Body Shop Lip and Cheek Stain in 01 on lips!